COME DUNK YOUR FAVORITE ADMINISTRATOR OR PROFESSOR April 4, 2008 3:00-8:00 pm Asbury Circle Mathematics Department Faculty: Emily Hamilton Eldad Haber Vaidy Sunderam Skip Garibaldi Aaron Abrams Political Science: Kyle Beardsley Economics: Hugo Mialon Administrators: Gary Hauk* John Ford Santo Ono Ozzie Harris Andy Wilson Carolyn Livingston Peter Sederberg Marc McLeod Jean Jordan Michael Huey Students: Alex Kappus * Dr. Hauk has agreed to have whipped cream pies tossed at his face More information can be found at the Emory Report website. Goodrich C. White Professor Ron Gould received the 2008 distinguished teaching award for the Mathematical Association of America Southeastern Section. He has previously won teaching awards as a graduate TA and as a faculty member [the Emory Williams Award here at Emory in 1999]. You can see a list of previous recipients of the section teaching award on their website. In the March 17, 2008 issue of the Emory Report, an article written by Carol Clark featured a story on Dr. Alessandro Veneziani. The article can be found on the Emory Report website. Photograph by Brian Meltz. The Southeast Geometry Seminar XIII will take place on March 30, 2008 at MSC, W201. For details, see the conference website. 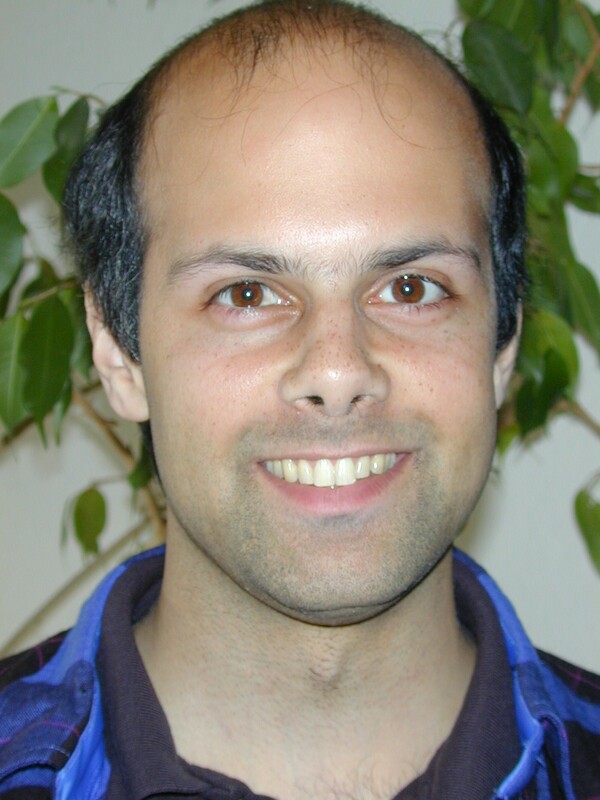 Professor Bjorn Poonen from UC Berkeley will give a colloquium titled "Lattice polygons and the number 12" in the department on Tuesday, March 25th. For more information, see the announcement. The department will host a one-day conference on arithmetic and algebraic geometry on Saturday, April 19th. The speakers will be Matt Baker (Georgia Tech), Jean-Louis Colliot-Thelene (CNRS), Philippe Gille (CNRS), Dino Lorenzini (University of Georgia), and Gopal Prasad (University of Michigan). For more information, see the conference website. Goodrich C. White Professor Ron Gould delivered the address at the 2008 MAA Alabama state dinner at Samford University in Birmingham on February 1st. The Mathematical Association of America is the largest professional society that focuses on mathematics accessible at the undergraduate level; it sponsors a dinner in each state each year, with one featured speaker. Microsoft Research and Microsoft adCenter announced Eugene as one of the recipients of the Beyond Search  Semantic Computing and Internet Economics 2007 RFP awards. The research (in collaboration with Prof. Charles Clarke of the University of Waterloo) aims to develop techniques to automatically identify the user queries and behavior patterns associated with commercial intent. Specifically, the researchers will develop a taxonomy of commercial intent to classify user information needs along dimensions such as immediate vs. near-term purchase, or purchase vs. research. The researchers will also develop techniques to automatically infer the information needs from user actions to classify the search session in the corresponding commercial intent category. The general intent inference algorithms developed will also be applicable to other (non-commercial) intent detection tasks, such as detection of scholarly research intent, health information seeking, and market research. For more information see the Microsoft Research announcement.